Hi friends! 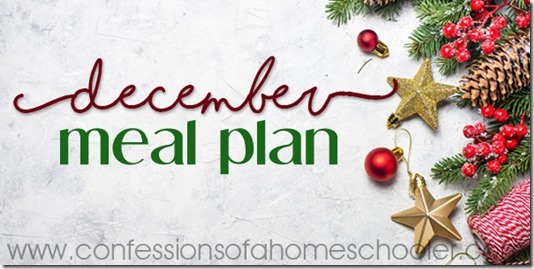 It’s time for the December Monthly Meal Plan! We’re in full on Christmas and Vlogmas mode which means it’s time for warm and yummy comfort food! This is also one of the busiest times of the year, and so having a pre-planned meal plan is essential. And it gives me extra time to spend enjoying holiday festivities! So let’s see what we have in store for December shall we? 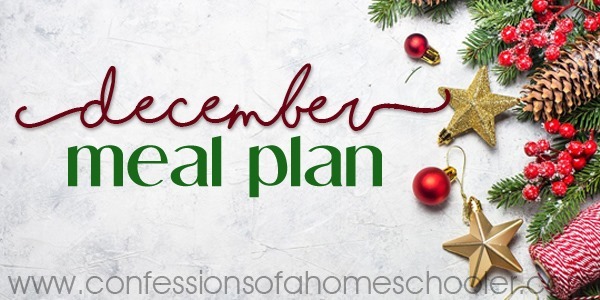 This month’s menu includes a ton of fun holiday treat ideas as well as advent fun and extra ways to spend quality time with your family this season, so make sure to check it out! If you’ve never downloaded them, my monthly meal plans include breakfast, lunch, dinner and snack ideas for every day in the month! Thanks for providing these meal plans. I just focus on dinners at our house, but cooking at home is SO important. I was just watching something that talked about how few people still cook at home and how they link it to the obesity crisis. If we just cooked what we ate, we would be so much better off! This is my second month using your meal plan and I absolutely love it. 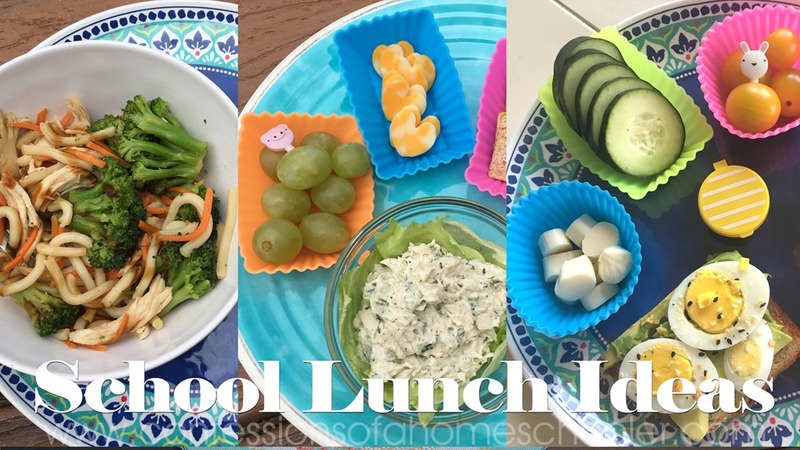 This is my first year homeschooling and I can never think of things to make for lunch for the kids. This has made things so much easier. Hello. I llloovvveee your menus and swear by them. I noticed you have not put any up for the New Year, are you going to continue to post your menus? I’m so bummed too! 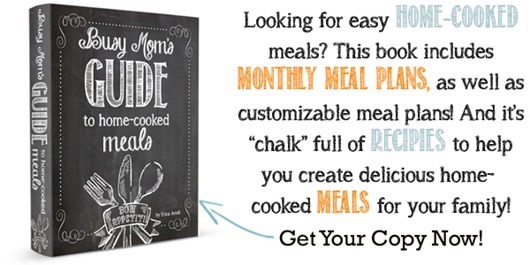 I LOVE the monthly menus – they make everything so easy so we can focus on our homeschool! Plus, they help us not get into a rut and provide so much variety! Thank you so much for your meal plans, I have been using them for a long time!! I also purchased your book a while back! Thank you for your time and hard work you put in to these!! Thank you for doing these! I still use the old ones or the format to put together my own with different recipes. I needed to be pointed in the right direction of how to do it😊🙃 These have been REALLY helpful and does take alot of stress out of the day.